This website is the result of many hours of research and formatting. It is intended to provide information about Chelopistes meleagridis, more commonly known as the Large Turkey Louse. We will be describing its classification, nutrition, reproduction, and interactions. Just as a side note, some of the information that is used in this website was gleaned off closely related species of avian ectoparasites in the same family or order. 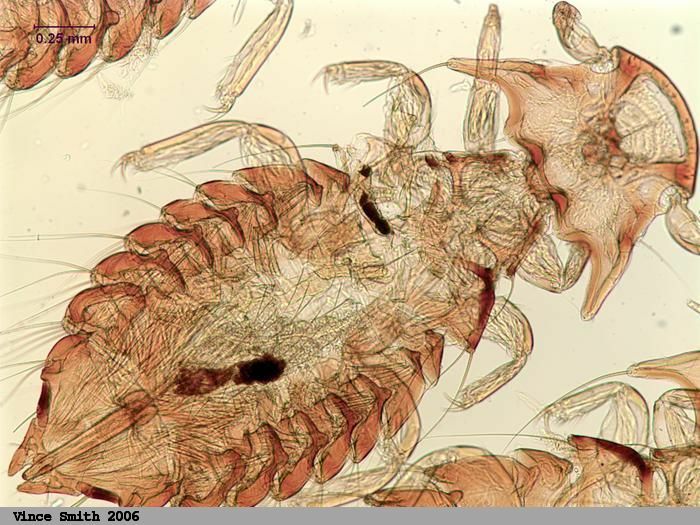 This was assumed to be okay since most chewing (biting lice) share many general characteristics. With that in mind, we hope you enjoy the site! If you liked our website you can follow this link to see the other insects that students from Dr. Haro's Spring Bio 210 class did! If you liked the photos you can either click them, or this link, to get to the Specimen Imaging Database.